Reduced food waste, fresh food anywhere – a new step in the evolution of food distribution. Can you visualize your local food supply chain? the national? planetary? It’s a real mind-bender – trying to understand how the food we eat finds its way onto our tables. Picture… no, too ugly… Let’s just agree that what we have on our hands is a sprawling colossal mess – loaded with sugar and preservatives. You’d have to be a little crazy, somewhat visionary, and principled if you were to attempt adding efficiency and sanity into the unsightly chaos. Have a look at FreshRealm. 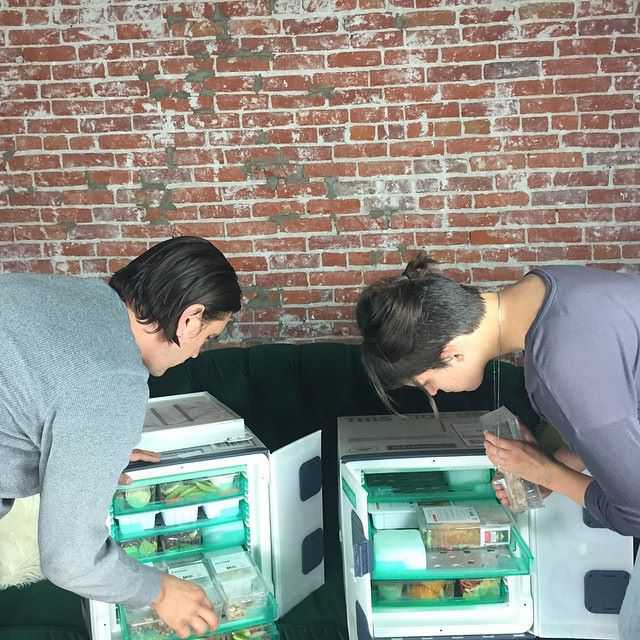 Part of the drive to bring fresh food to everyone entails introducing the Vessel, a new, temperature-controlled, reusable food delivery system. At first glance, my mind leaped to imagining that the good people at Apple had redesigned the kind of mini-refrigerators that every dorm room had when I was in college, which is to say that the Vessel is probably even more beautifully designed than it’s minimalist, elegant appearance lets on. 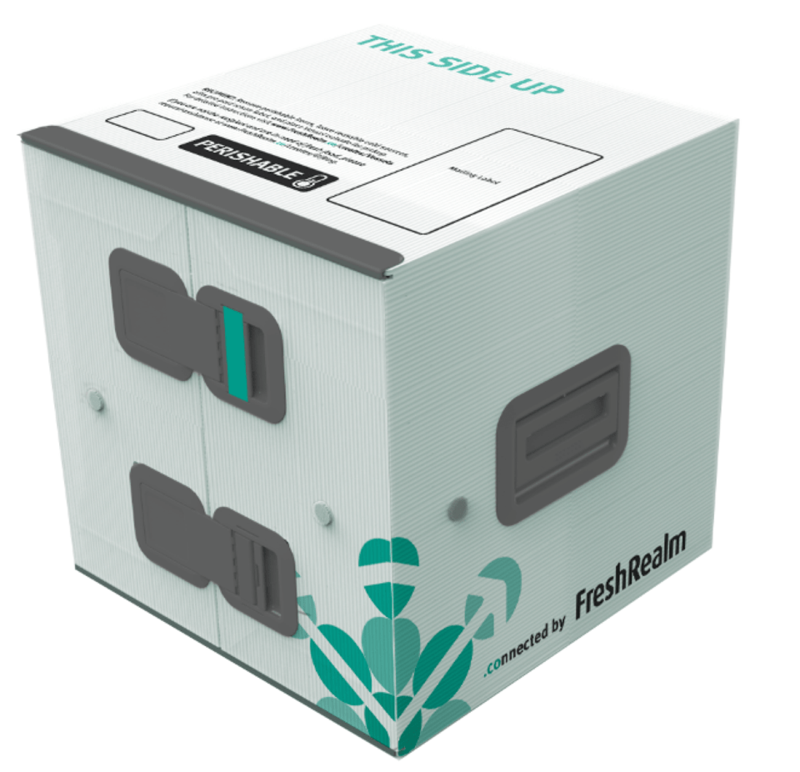 More to the point, wherever there’s a physical mailing address, FreshRealm will see that fresh food gets there. Wow. I want to trust that FreshRealm is as smart, cutting-edge, yet grounded as the company seems. I heartily support the push for us to eat fresh foods and reduce waste. Using the cloud to connect the players – makers, growers, packers, carriers, merchants – sounds perfectly sensible, after all. Crowdsourcing delivery to meet demand more intelligently sounds like a creative solution (and incredibly daunting to implement). Fundamentally, I’m entirely onboard. What’s more, FreshRealm is a subsidiary of Calavo Growers, an avocado giant, and helping us all to enjoy guacamole counts a lot in my book. The mindfulness that permeates the site – nods to gratitude and generosity – is, well, extremely refreshing. FreshRealm awakens my philosophical curiosity as much as my awe for innovative tech. Not to mention, my hunger! Find out more about how FreshRealm intends to push the evolution of the food industry at freshrealm.co.